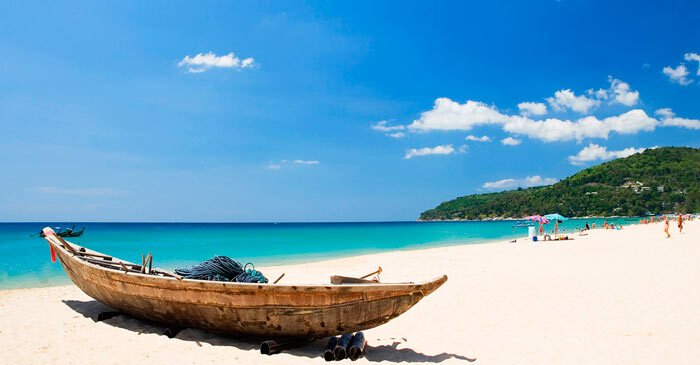 Karon Beach belongs to the best beaches in Thailand as a whole, and Phuket in particular. There baggy strip of white sand, which many call the «singing». The reason for this high content of quartz in it, which helps special creaking. This is the cleanest and one of the most popular beaches of the resort. Right next to the beach hotels are located, and thus difficulties in order to get onto the embankment and back does not arise. The beach is very well developed infrastructure. There is a point of hire sunbeds, umbrellas, beach catamarans, and other paraphernalia. Lovers of active beach recreation such as diving and snorklling, too, will do. In the southern part of the beach there is a very attractive cove and coral reef.